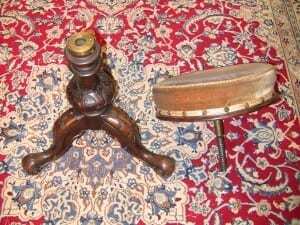 19C British Victorian Telescopic or Adjustable Piano Stool. 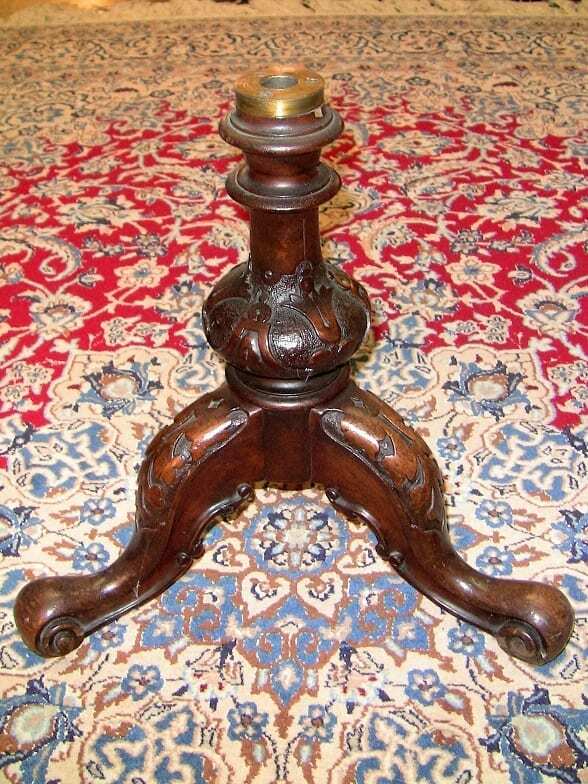 PRESENTING A LOVELY, mid-19th Century, British……..Victorian…………telescopic or adjustable piano stool from circa 1860. 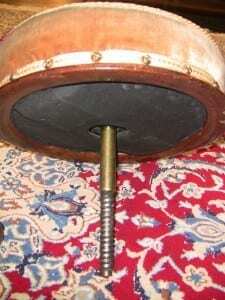 The cushioned seat turns clockwise and counter-clockwise to raise and lower its height. The stool sits on a heavily carved and sturdy tripod base. The central column has a large bulbous center portion……acanthus leaf carvings throughout. REALLY CUTE little Stool……and RARE !! The mechanism for raising the stool needs tightening…..but not a major restoration job. 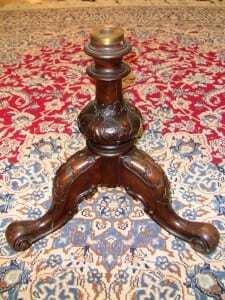 Antique piano stools were incredibly popular during the Victorian period (circa 1837 to 1901), and are usually made of different types of wood such as beech, oak, mahogany or walnut. A variety of different styles of piano stools were developed during this period, and can range from a four-claw foot piano stool, a swivel piano stool, a duet piano stool, and a double-seated piano stool, just to name a few. 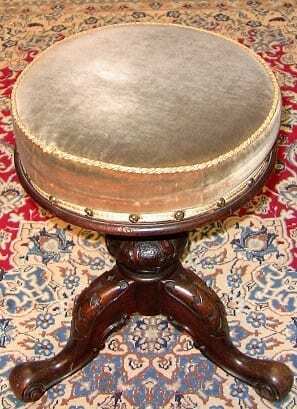 Antique piano stools typically have very thin legs as well as a simple cushion design. 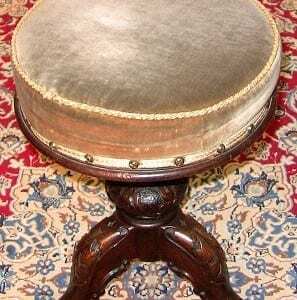 Antique piano stools that were manufactured during the Victorian period (circa 1837 to 1901) are considered to be both rare and valuable among collectors. Double-seated piano stools as well as mid-century, Eames and Scandinavian-designed piano stools are considered to be rare as well. Restoration of an antique piano is recommended, but only if there is noticeable damage. (However, restoring an antique piano stool may decrease its value).